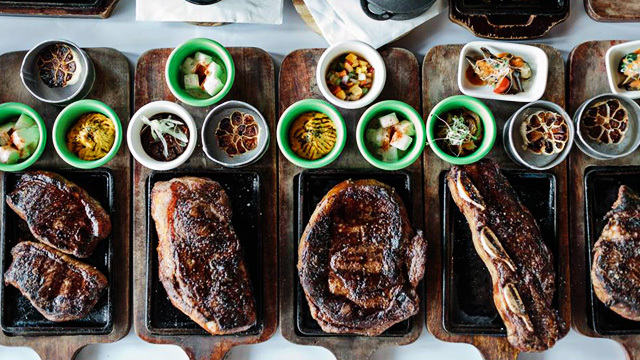 Their food is as vibrant as their space, too! 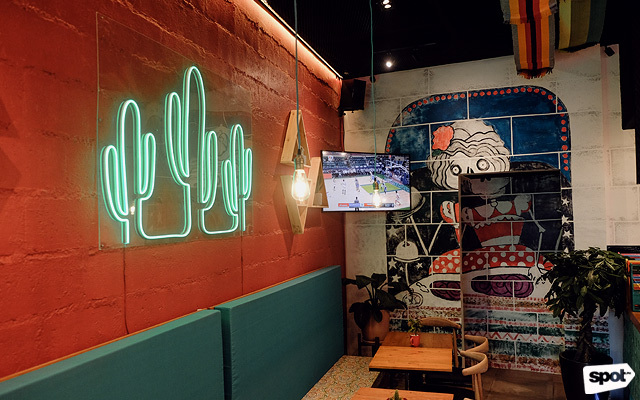 This colorful restaurant does spell fun in every corner. As cliché as it sounds, there’s no other way to describe the space but as a feast for the eyes. 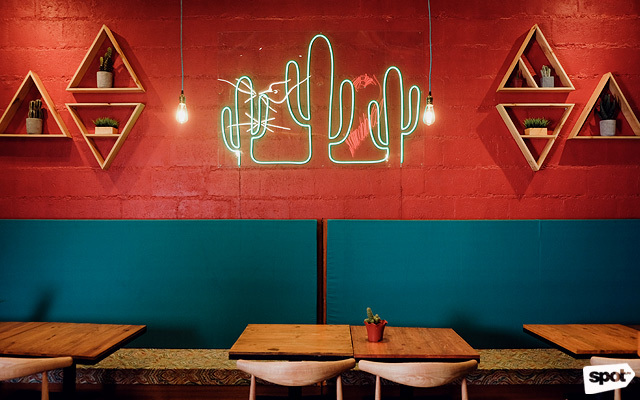 Neon signs feature their name as well as other Mexican icons, while vibrant murals adorn every bit of the colorful yellow-blue-and-red space. Its hip vibe makes us imagine they’d be an easy fit in a cool district like Bali, for example. 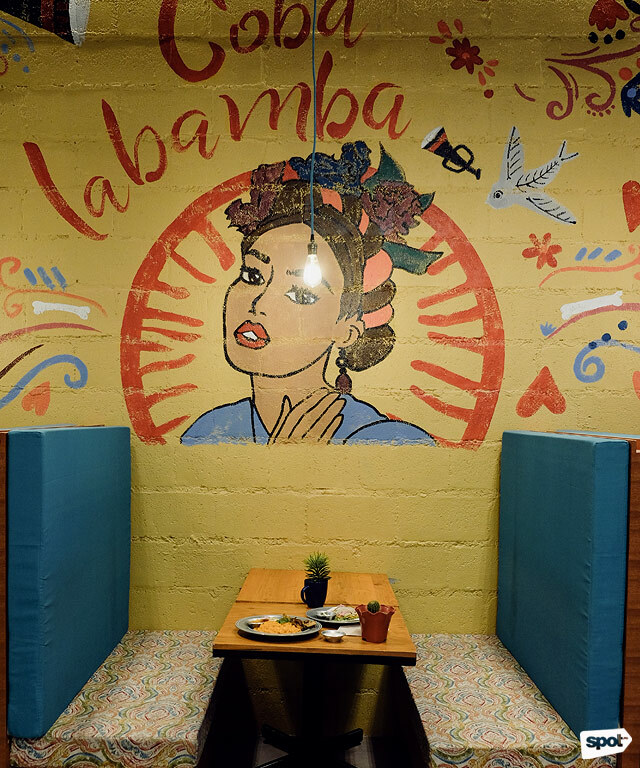 Though they do get their name and a lot of their decor from Mexico, Carino is reluctant to label Cobalabamba as a Mexican restaurant. 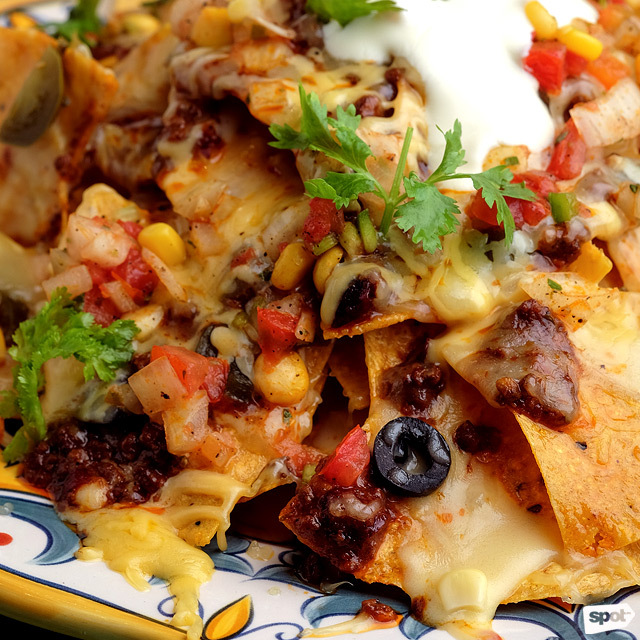 “'Yong flavors namin Mexican but I think marami kang pwedeng magawa with those flavors,” he says. The thinness of the tortilla crust of the Coba Pizza Supreme makes the cheese extra gooey. 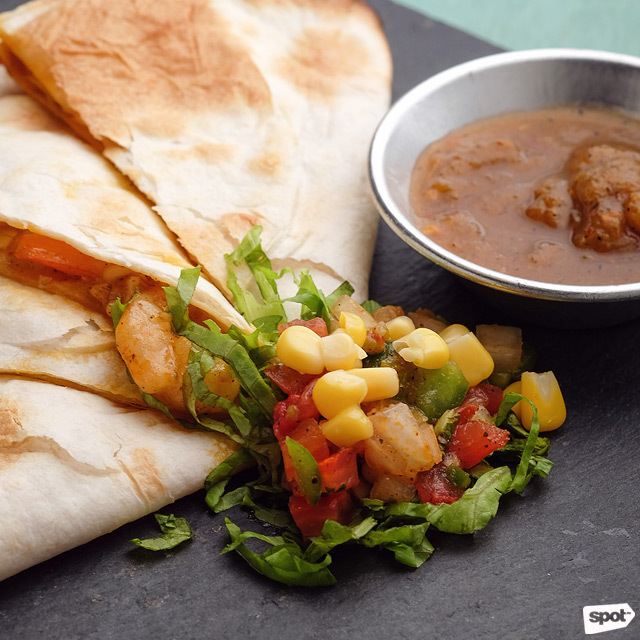 Like Pizzadillas, or pizzas that trade the usual dough for a flour tortilla. The switch is genius; the thin tortilla is sturdy enough to hold a variety of toppings without giving way, and its thinness lets the toppings shine through. 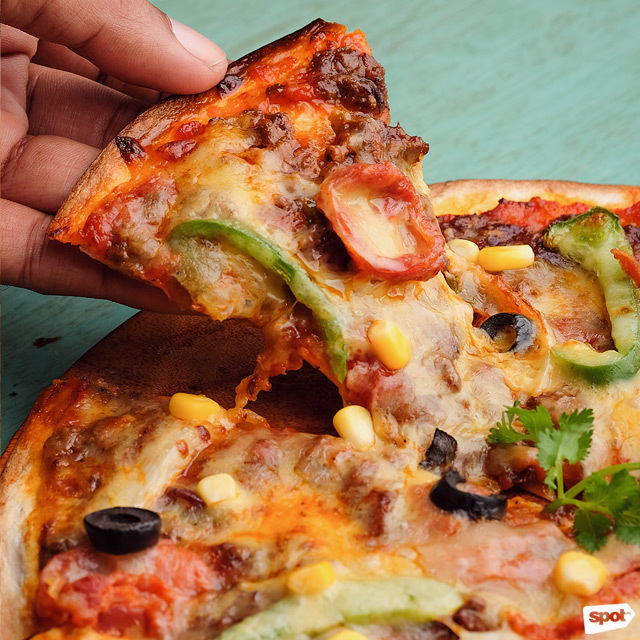 The Coba Pizza Supreme (P305) comes loaded with tomato sauce, corn salsa, bell peppers, onions mozzarella, cheddar sausage, and chili con carne. The familiar, sharp savory-spiciness of Mexican food is present, but it comes in a new form—and the handy size of this dish makes this so easy to scarf down, too. 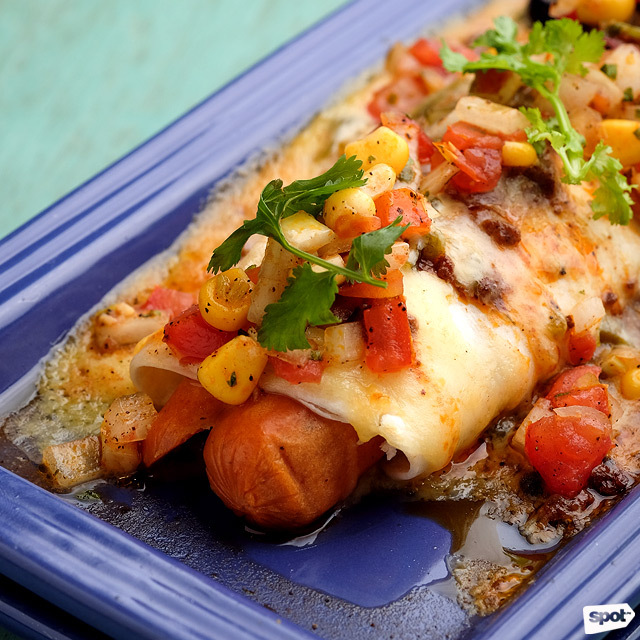 The Chili Cheese Taco Dog (P225) is another new vessel for familiar Mexican flavors. Even when smothered in the usual Mexican fixings of chili con carne, corn salsa, olives, jalapeño peppers, cheese sauce, mozzarella, and cheddar, the cheese sausage retains that delightful snap that lets you know you’ve got yourself a great dog. 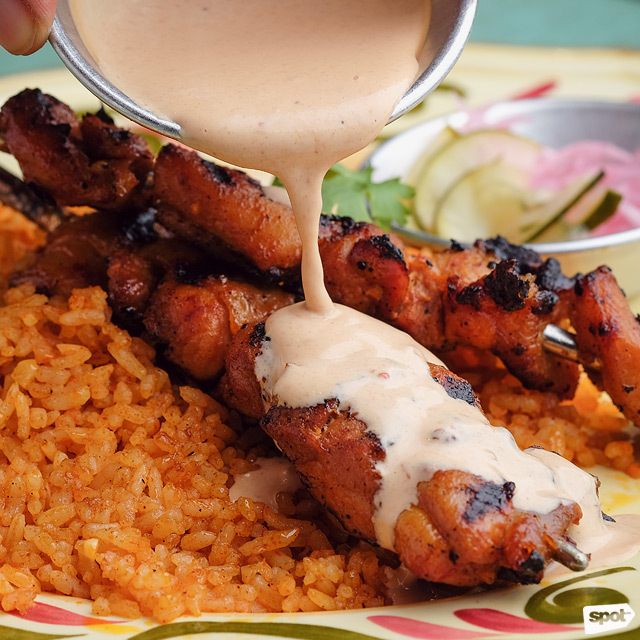 While Cobalabamba executes the usuals—like the overloaded Doble Nachos (P285) or the Garlic and Shrimp Quesadilla (P295) stuffed with fresh and tender shrimp and aromatic garlic—excellently enough, they shine best in the rice meals, Mexican rice paired with grilled meat full of punchy flavors. The Tipsy Pork (P205) is tender and lip-smacking from a sharp, sweet-smoky tequila-based marinade, with caramelized peanut sauce to balance things out. Though if there were one dish you’d come back for again and again, the Chipotle Chicken (P185) would be the strongest contender. 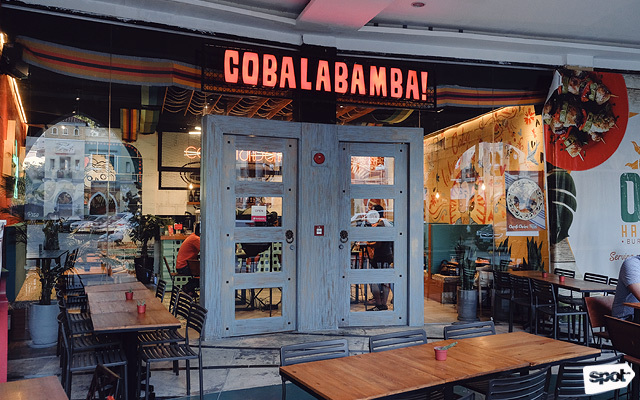 Cobalabamba grills chicken thighs for their skewers so you already know you’re getting loads of flavor, but it has a citrus tang that gets very addictive. 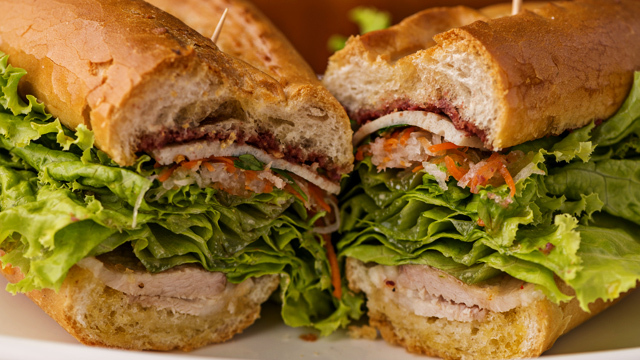 Add in the Chipotle Sauce, which gives enough heat without shocking the taste buds, and you’ve got yourself a winner. 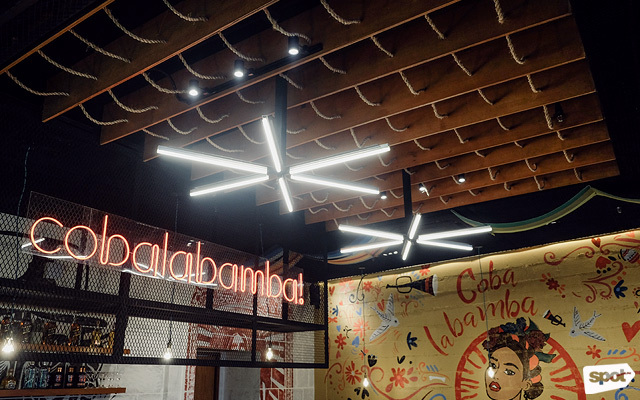 At Cobalabamba, their dishes are as vibrant as the plates they come in, both in looks and in flavor. 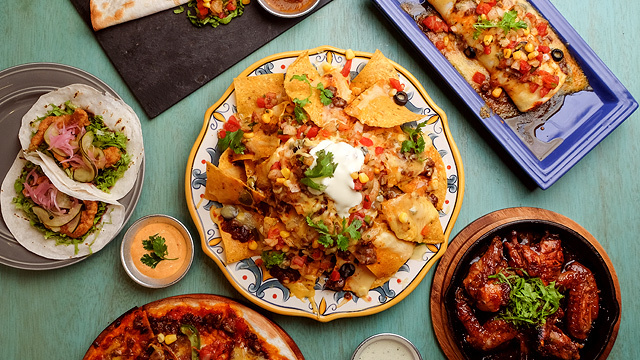 Their menu is full of Mexican staples but there are also lots of creative twists and surprises that make this restaurant as fun as their name.